As Chief of Police, it is my pleasure to welcome you to the official website of the Maxton Police Department. Members of MPD are committed to making Maxton safer and improving quality of life for everyone who works, lives and visits the Town of Maxton. We see you as equal partners in public safety. And any good partnership, of course, requires timely and effective communication. We hope you use our website and social media sites to enhance communication and create long-term partnerships to solve problems, reduce crime and improve quality of life. We approached both the content and organization of our website from your point of view. We took into consideration the types of information and services you are interested in and constructed our website to support those needs. The Maxton Police Department are now looking to hire qualified applicants for the position of Patrolman. to responding to calls for service or crimes, investigating violations of North Carolina law, preparing written report, enforcing parking and traffic rules, engaging in crowd and traffic control, patrolling and inspecting buildings and facilities for safety or law enforcement concerns, and coordinating with higher authority on special traffic, law enforcement or safety concerns; performs extensive computer work; performs other related duties as assigned. This position will function at the Contributing Competency Level. Graduation from high school or possession of a high school equivalency certificate. Certification as a Law Enforcement officer in accordance with the provisions the North Carolina Criminal Justice Training and Standards Council. 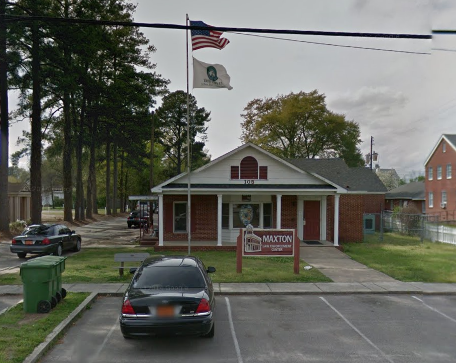 The Town of Maxton and the Maxton Police Department is an Equal Opportunity Employer.